How the devil is it October already? How did that happen? I am baffled by this but also super happy as Halloween is a pretty marvellous celebration and I have some beaut decorations tucked away somewhere. Last week we had our BEST EVER WEEK! With 30 hilarious photos and I loved reading through them all. If you ever struggle for a piccy don't forget you can link up something 'vintage' (in other words old but hey vintage sounds a bit more sophis doesn't it?). Which is what I have done this week! My favourites from last week were the adorable messy face from Liquorice UK, baby jail from Shannonagains and ballerina bum from This Price Is Usually Right. As per usual try not to link drop. Go and have a little look at some others. Why not try some bloggers you haven't heard of and give them a few lovely little comments? I can't wait to see what you have got for us this week! And in the coming weeks I can't wait to see some proper crap halloween outfits and weeping toddlers dressed as witches. Aces. 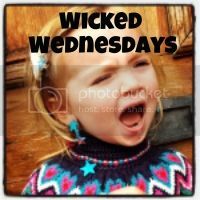 If you also hashtag your piccy #wickedwednesdays on Instagram (follow me at brummymummyof2) I will regram a few favourites each week with your handle and hopefully you will get some new followers. My boy. 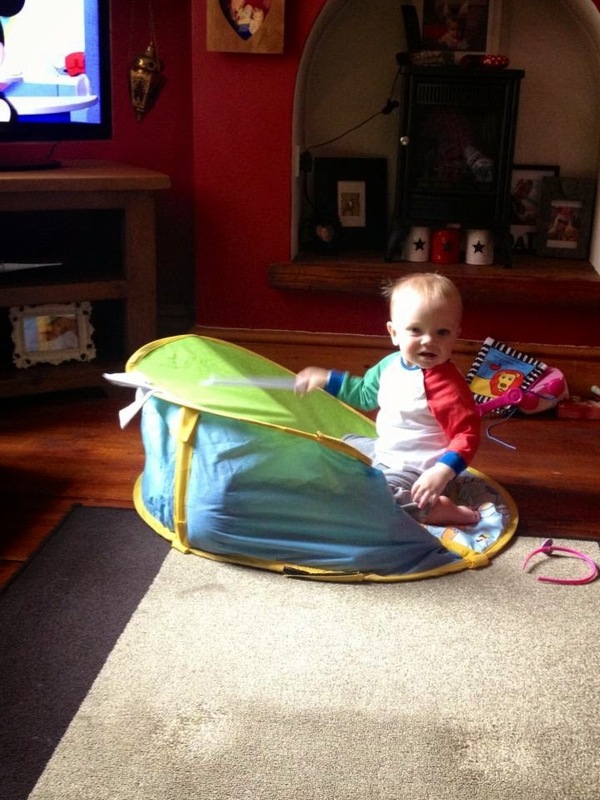 Trapped his sister. Under a ball pool. And hit her with a stick. I stopped this instantly (well after a photo obvs). Such an innocent expression too! "What do you mean, stop hitting her?" Priceless! Brilliant! He looks like he had been waiting to do that for some time! This is so cute, Just linked up! Ah I'm the same. The time goes scarily fast....the year is disappearing so quickly! But I love Halloween and Bonfire night. I saw a post about collecting conkers in the cold weather though....what cold weather? Hehe, is this revenge for her kissing him last week?!?! Hehehehee oh no, excellent photo opp though!!! LOL! Brilliant! Hitting her with a stick too is just ingenious!